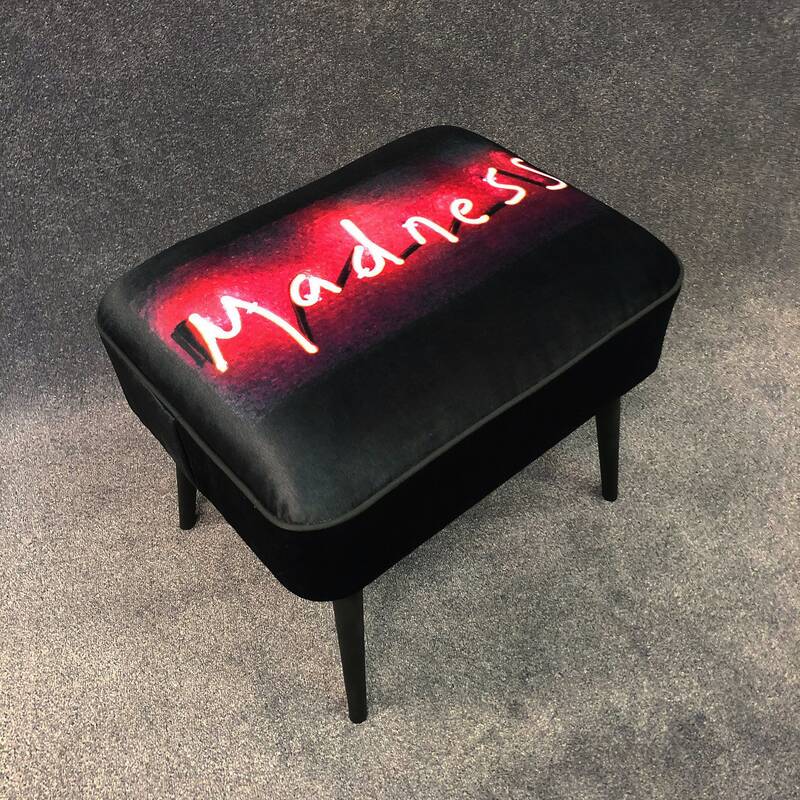 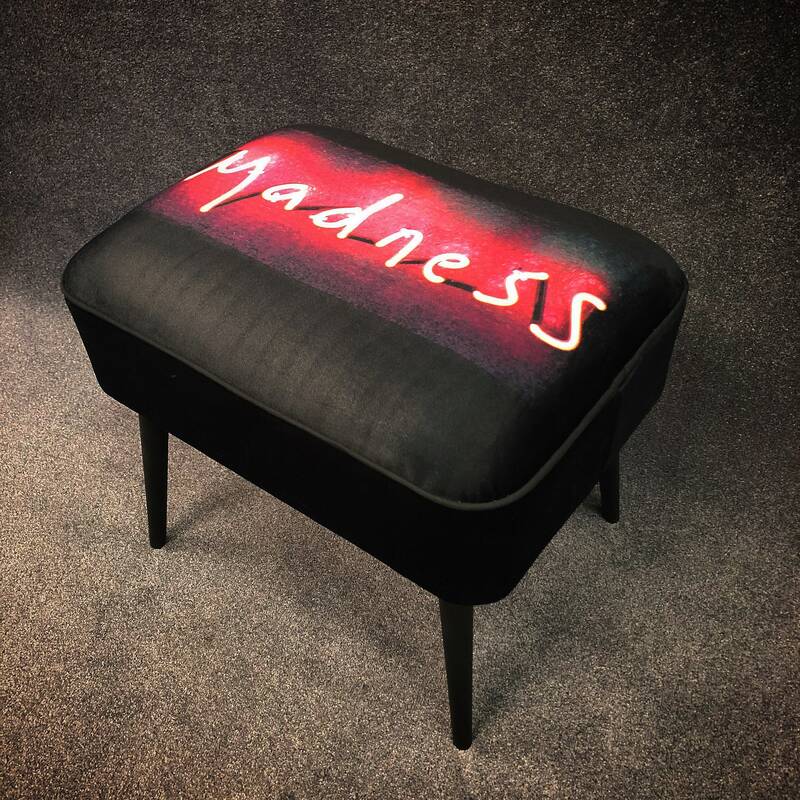 Madness neon has been printed onto a luxury flame retardant fabric and upholstered onto this contemporary stool by Muck N Brass. 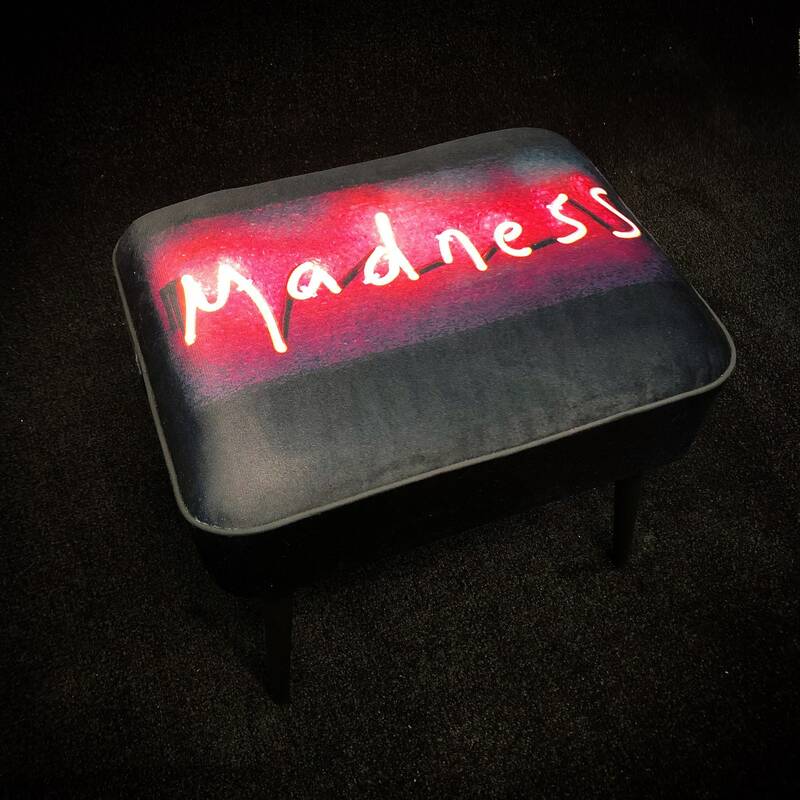 Rebecca Mason is a UK based artist using light to convey the darkness within human life, existence and emotion. 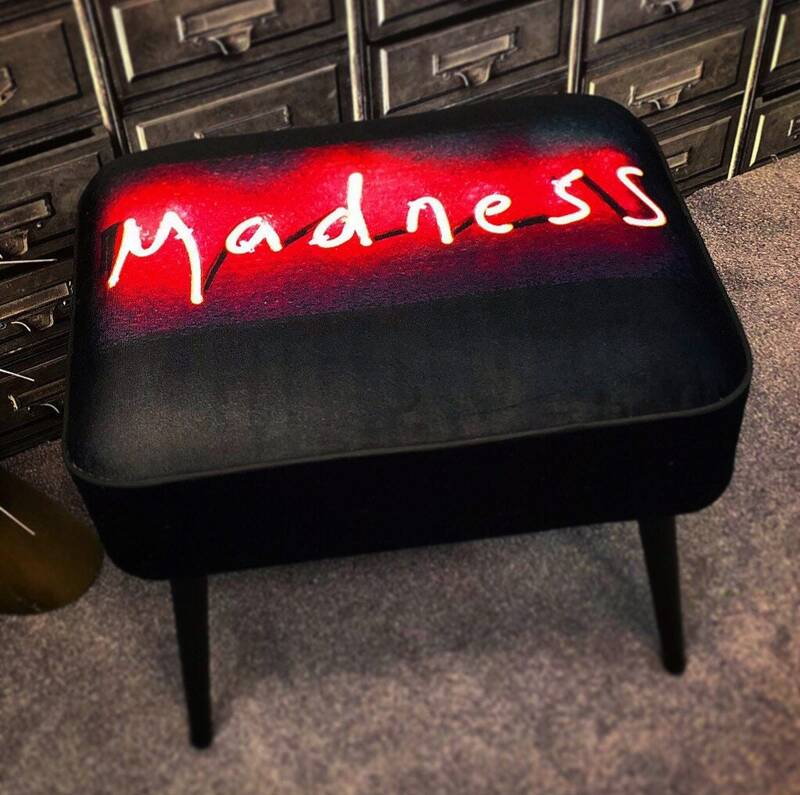 Working with and exhibiting neon widely in London in particular since early 2013, her creations are described as "an extraordinary mix of truth and beauty through which she is able to engage her audience with brutal observations about life, love, money and culture with her honest, and often humorous, interpretation of the modern world". 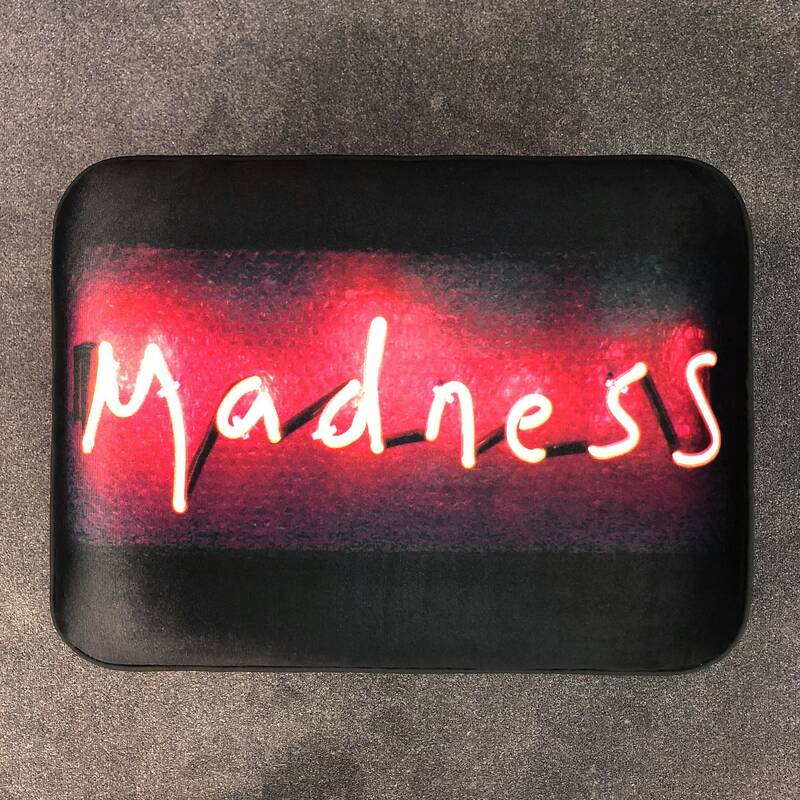 By mid 2015, with over 40 neon pieces already under her belt over the previous 2.5 years, Rebecca had firmly established herself on the existing London neon art scene, a scene which has grown considerably since then.